Joe Uhrig is a 2002 graduate of Ohio University with a Bachelor of Science degree in Business Communications. Joe has been in the Financial Industry for 15 years and is a lifetime resident of Chillicothe. He holds among his varied securities registrations a Series 6, 7, 63 and 66, as well as insurance licensing to meet the many needs of clients. 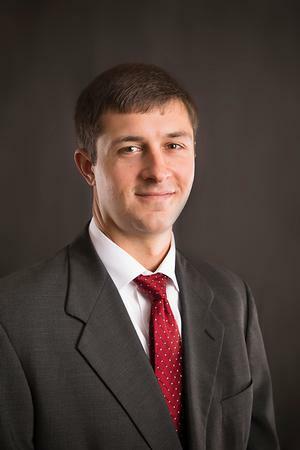 Joe spends his time meeting with existing and prospective clients, creating a comprehensive financial plan which includes; Estate, Financial and Tax Planning and answering any questions they may have all in an effort to help them meet their financial goals. He is a member of the First Capital Rotary of Chillicothe and has served as past president and board member. Joe also serves on the United Way Grant Committee and Regional Coordinating Council for Ohio University-Chillicothe. Outside of the office, Joe enjoys motorcycle riding, hunting, fishing, gardening and spending time with his family. He lives in Chillicothe with his wife Randi and daughter Amelia.